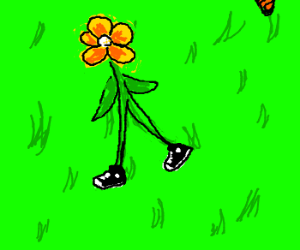 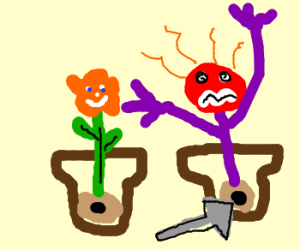 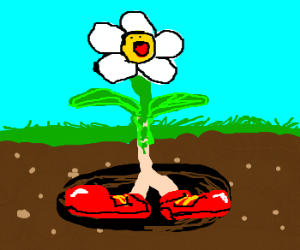 A flower with clown shoes instead of roots. 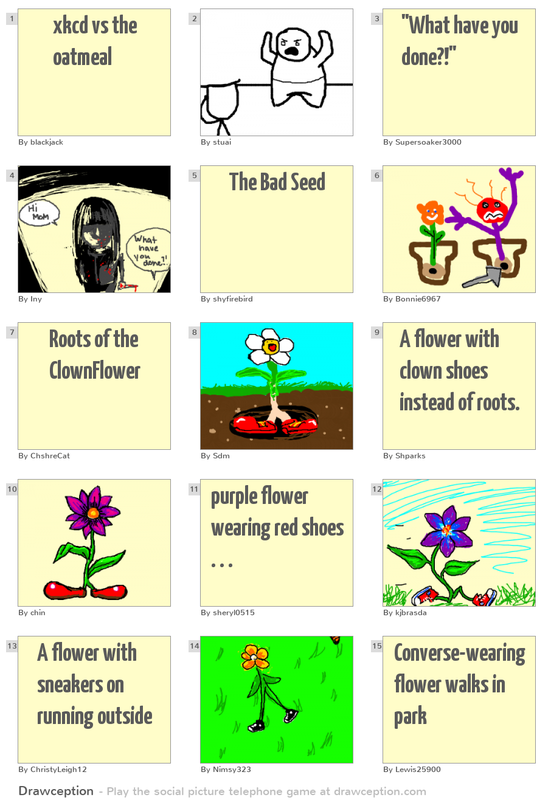 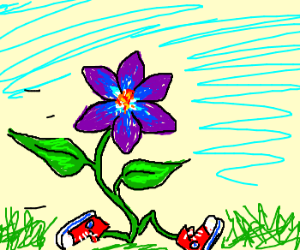 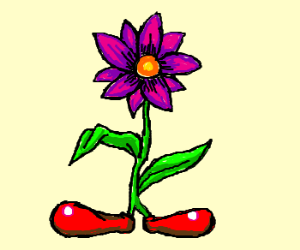 purple flower wearing red shoes . . .